In a rare flash of timeliness, I have some junk drawer Father’s Day gifts all crafted up IN TIME FOR FATHER’S DAY! Yes… you read that correctly. 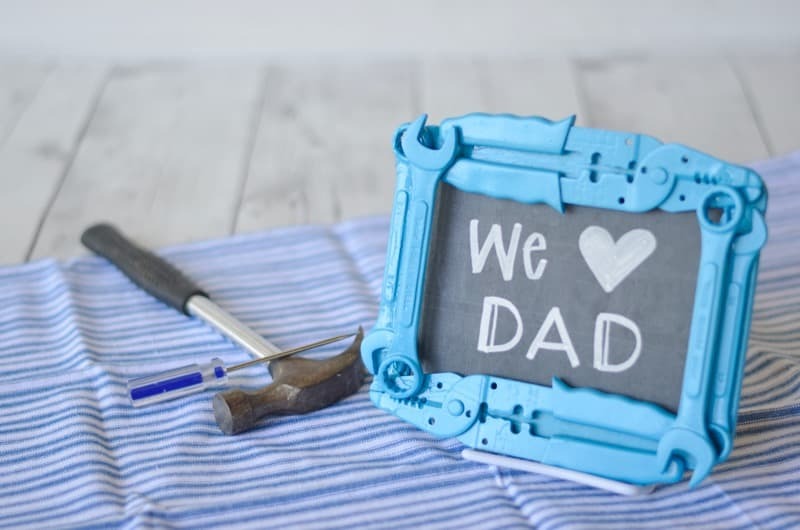 You have a whole 24 hours to create some Father’s Day magic! 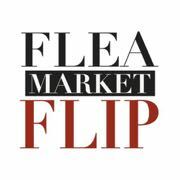 I’m sharing these projects on the news this morning which was the kick in the pants I needed! 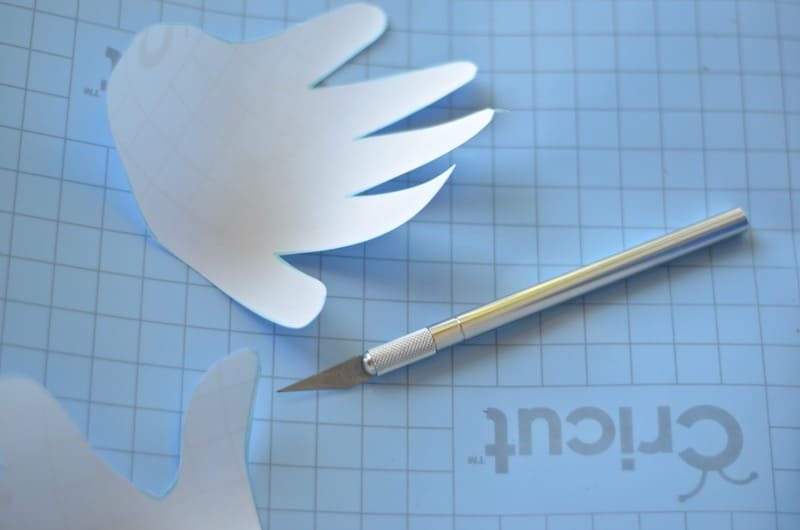 When I’m look for crafts to show on TV, I often go to Pinterest… I look for ideas that have simple, easily accessible supplies. I’ll link to my inspiration posts below so you can see which Pins I was following, and a full materials list is at the end of the post. The first project was basically an excuse to clear out my junk drawer. I saw the craft here on Mosswood Collections and put a colorful twist on it. 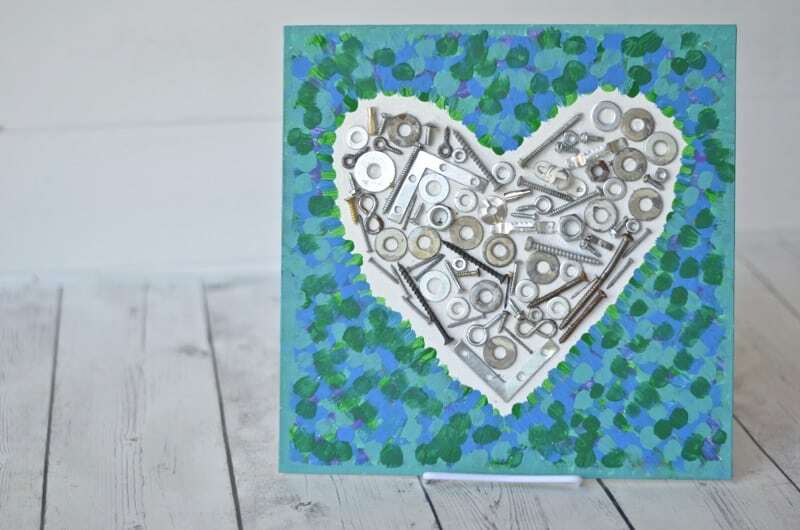 Grab a canvas or a piece of scrap wood and draw a faint outline of a heart. Using clear craft glue, load up your heart. 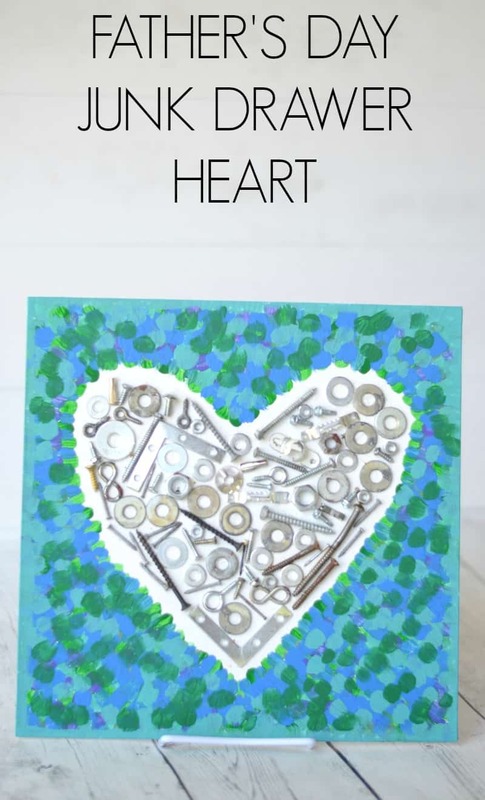 Kids can help with this one, so dig through the bottom of your tool box and let them fill the heart with leftover screws and nuts and washers. Give it a few hours to dry and then fill in around the heart with craft paint. 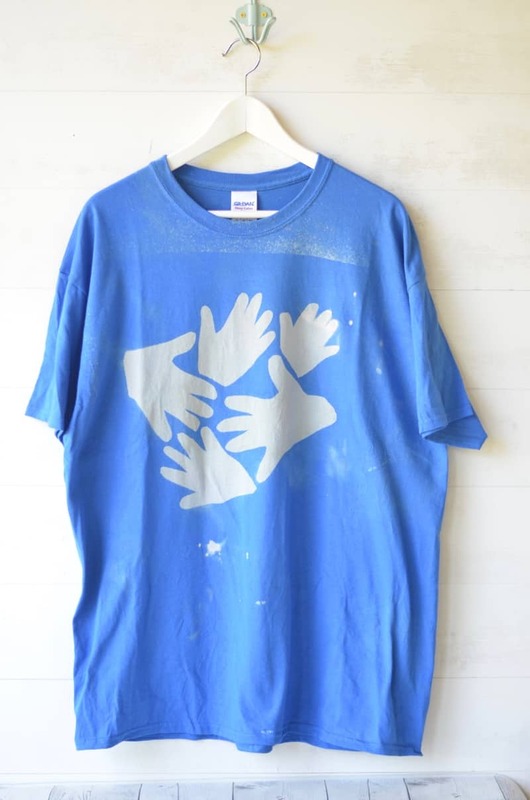 This adorable handprint t-shirt had a failed first attempt. I followed the original tutorial from A Spotted Pony, but subbed freezer paper for the contact paper suggested. Mistake. 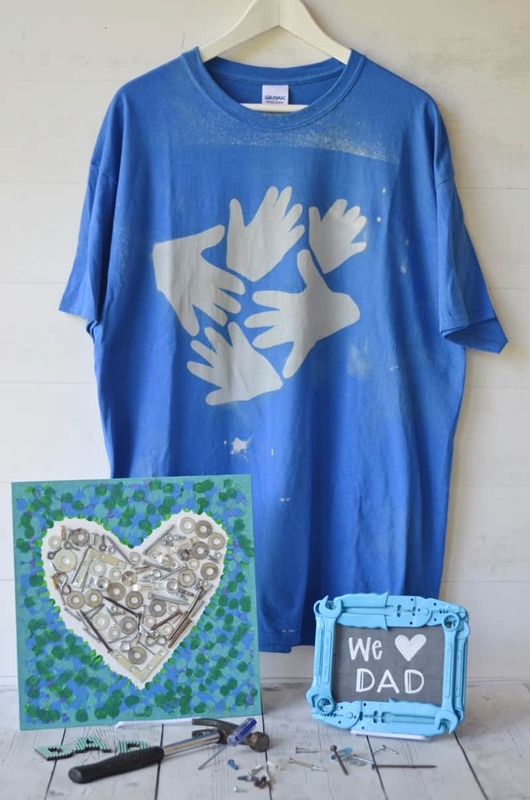 The gist of this project is you trace your children’s handprints, place them on a dark t-shirt then spray bleach around them to create an adorable outline. Well…. freezer paper doesn’t work for this. The bleach bled underneath and I ended up with a blobby bleachy mess. Take 2 was a SMASH success and I changed it up a bit from the pinned version. I used this Cricut stencil paper and traced the 5 handprints. 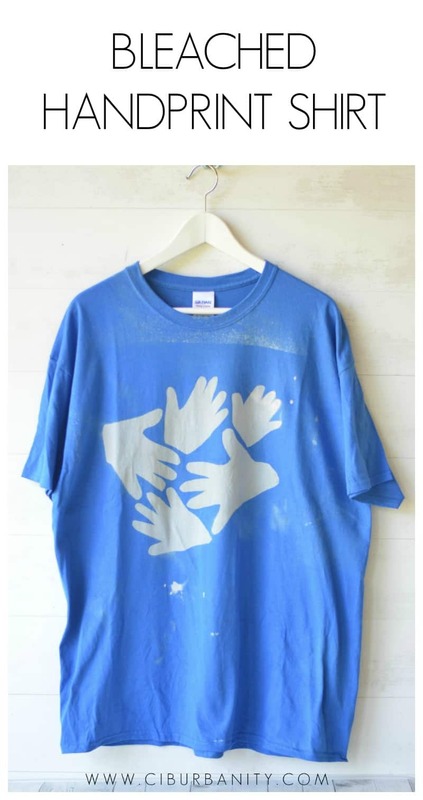 I cut out the handprints and placed the cut-out sheet of stencil paper onto the front of this $5 cotton t-shirt from Michaels. In other words, I decided to do the opposite of the tutorial. The final project is the easiest of the bunch. 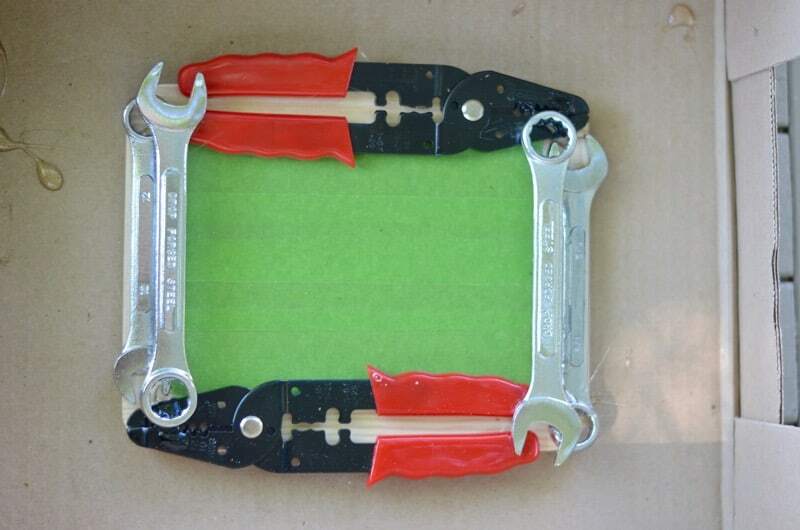 I loved this wrench frame from Zulily and figured, heck… that’s not too hard, right? Right! 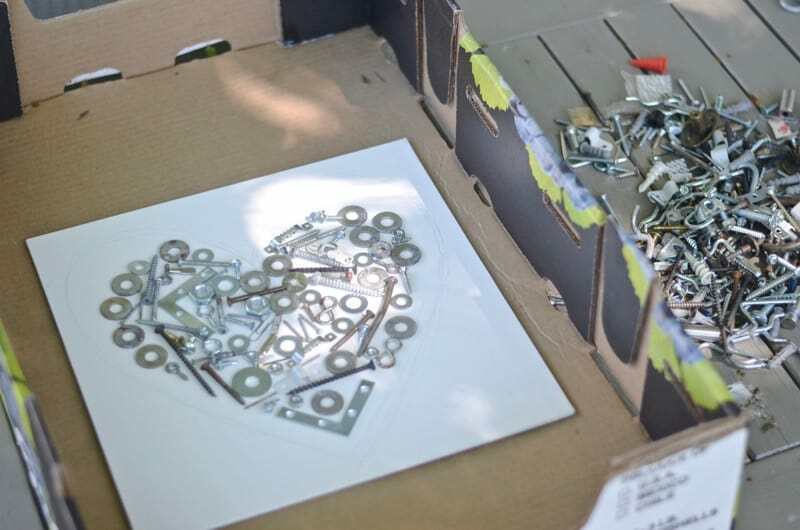 I grabbed some random tools from the discount bin at our hardware store (dollar store tools would be perfect!). I also subbed the picture frame for a simple inexpensive chalk board frame from Michaels. 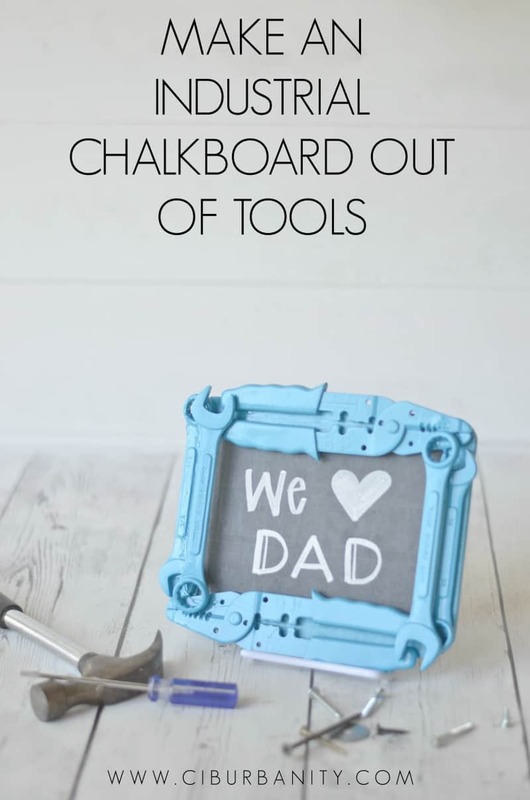 I put painters tape to cover the chalkboard, and used e6000 to glue the tools onto the frame. Once the glue had set, I gave it a few light coats of spray paint and removed the painters’ tape. Do you love it? Me too! 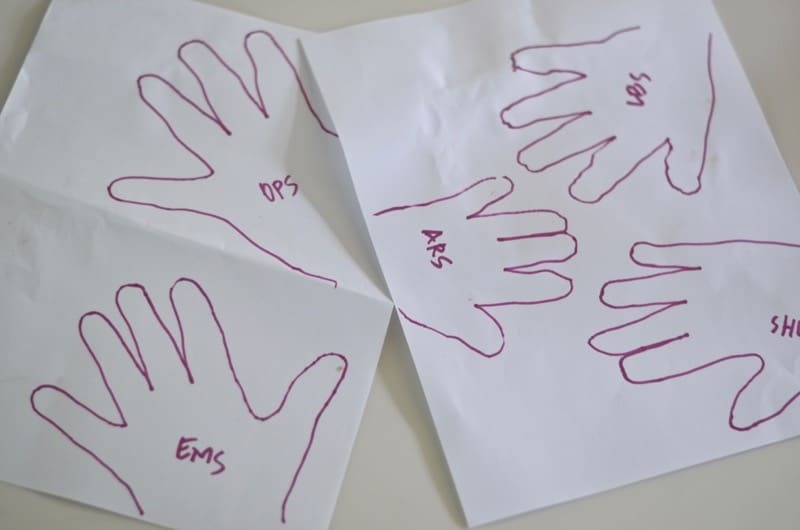 Don’t worry… these aren’t Mark’s ‘official’ gifts, but I can’t very well tell you what we’re getting him today can I? I’ve been working on something fun for him, and I’ll share it next week hopefully. Happy Father’s Day, everyone! These are great! I would love to get some of these from my kids on fathers day. 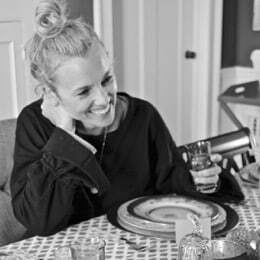 I try to keep everything that the make me and I love it when they get creative and make stuff on their own instead of buying it. I love eco and budget friendly things as well so that would be a win win for me. Thanks!